Made it to the newspaper! 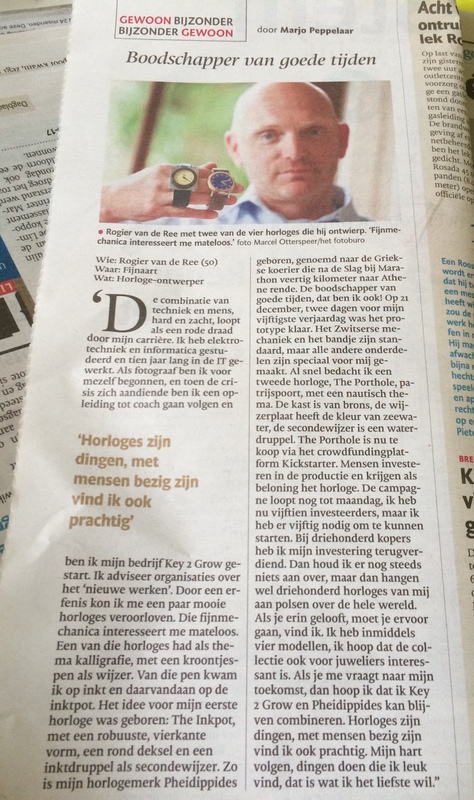 Today I am featured in a well known regional newspaper: BN de Stem. Something to be proud of :-). Next Friday I will be featured on another forum: wristwatchreview.com. That will set the total appearances to 10. Again something to be proud of :-). Last week a colleague photographer, Gijs Proost, made a really nice shot of The Porthole. With 5 days to go the Kickstarter campaign is coming to an end. 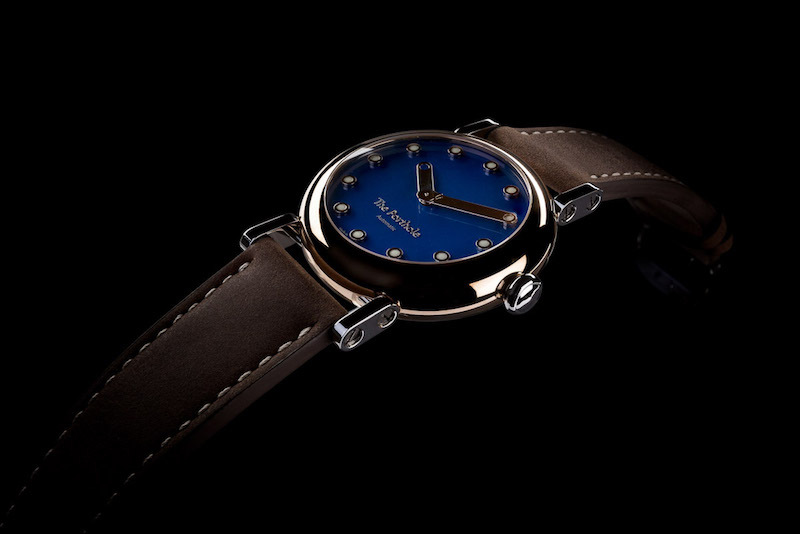 The score is still 15 watches pledged for and 1 brave supporter. I sincerely hope that a lot of people are still in doubt whether to pledge for The Porthole or not and will decide positively this coming weekend. So, one last call-to-action to spread and share the word to help me reach my project’s goal. Much obliged for your support and patience with the volume of my messages. Some might confuse my enthusiasm as spam ;-). One Response to Made it to the newspaper!